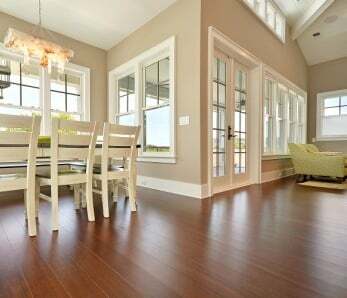 Like hardwood and laminate floors, bamboo can be installed in 3 different ways, using either the nail down method, glue down method, or . 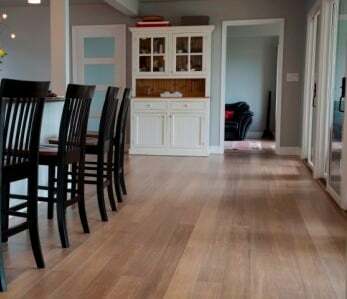 The last method is very easy and one that most DIYers choose when installing their own bamboo floors. No matter which method you use, it is very important that you take the floor’s expansion into consideration to avoid warping and buckling. 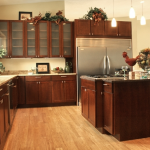 In fact, most installation problems are because of moisture intrusion, lack of expansion, or the planks have been cut too tight around fixed objects such as kitchen islands and doorways. Bamboo’s size and shape changes with the absorption and release of moisture. How much it changes is determined by the species and particular cut. After bamboo is harvested it is kiln-dried and then wrapped in cellophane to prevent moisture gain or loss during transit and storage. 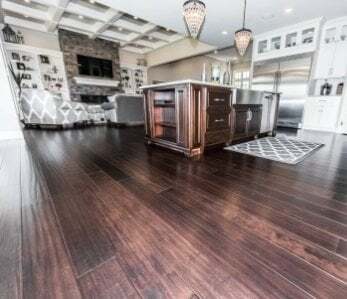 By the time you get those planks home they will be in need of some acclimation before you can begin to install your floor. Acclimation is one of the most important steps of any installation and one that many people neglect to do. But if you want to ensure the optimum stability for the lifetime of your floors, and we think you probably do, then please don’t skip this step. Bring the boxes of bamboo into the house and store them in the very room you will be installing them in. If you’re installing planks in an upstairs bedroom, don’t leave them down in the cellar and vice versa, as temperature ad moisture content of both rooms will not be the same. Slice open up the lengths of the box and end flaps including the interior cellophane and stack the boxes up to 5 boxes high on the ground for a minimum of 72 hours, and if you can cross stack them that is preferable. Ideally you will want to allow acclimation to happen over a period of 3-10 days (some brands that aren’t moisture balance properly require longer acclimation periods). The goal here is to reach a balance between the new floor and indoor surroundings before installation begins. Neglecting this step will invariably result in floors that squeak, have excessive movement and excessive gapping. And speaking of gapping, it’s really important to remember during installation to leave a space (gap) of at least 1/4 to 1/2 inch around the perimeter of your floor. 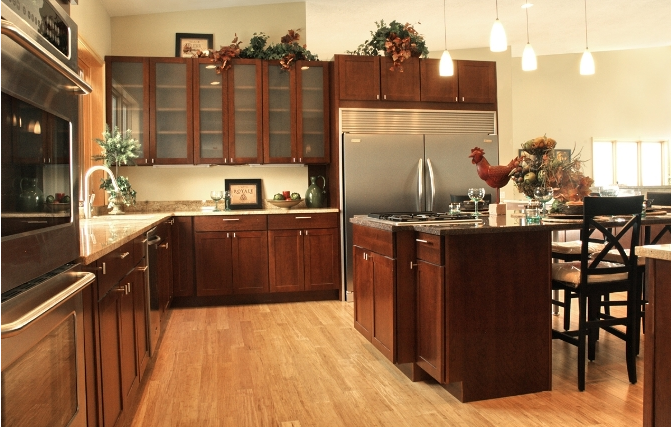 Many DIYers don’t realize that this also means around solid fixtures like the kitchen island and columns, not just the obvious walls in the room. So think of it this way, the gap should be left along all vertical surfaces in the room. Once the floor has been installed, this gap would be hidden with decorative accessories like baseboards and shoe molding. 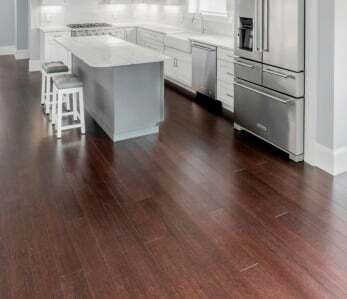 Following these tips will help you install your beautiful bamboo floors correctly ensuring they don’t become warped or buckled. 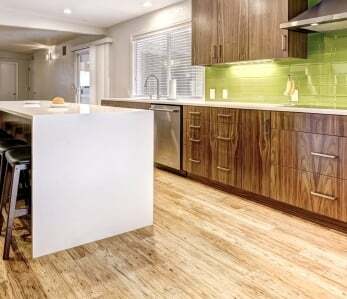 If new bamboo flooring is tongued and grooved and I want to lay it as a floating floor, how do you stop the joints from opening if they are not glued or nailed and you have a 6 to 12 MM gap around the perimeter. Hi Dennis, great question! That’s what Tongue and Groove Glue is made for – it can be found at you local big box stores and we recommend the Titebond brand. Hope this helps!